Brighton sealed promotion to the Premier League, and moved a step closer to winning the SkyBet Championship, after beating Wigan 2-1 at a jubilant Amex Stadium. The win was enough to spark jubilant scenes at the Amex Stadium, but their elevation to the top table was not confirmed mathematically until Huddersfield drew 1-1 at Derby in the late kick-off. Jacob Butterfield’s 88th-minute equaliser was enough to cancel out Collin Quaner’s effort and formalise the Seagulls celebration party. Glenn Murray had opened the scoring for Chris Hughton’s side eight minutes before half-time, his 22nd goal of the campaign and fifth in as many games at home. England Under-21 international Solly March ensured the celebrations could continue in earnest when he converted Anthony Knockaert’s cutback and a late goal from substitute Nick Powell could not change the picture. Newcastle, league leaders for so long, slipped to seven points behind the Seagulls as they took their winless run to three matches with a 3-1 reverse at Ipswich. 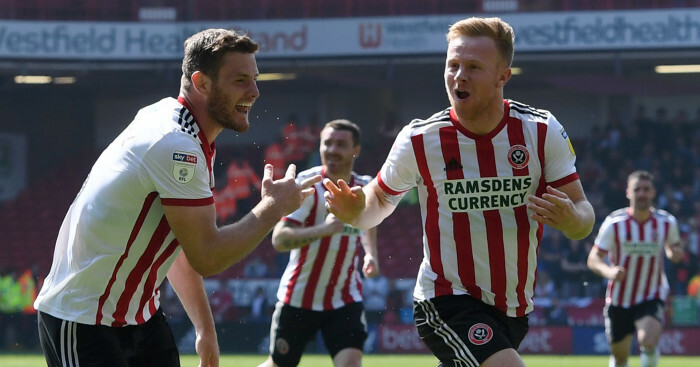 Freddie Sears put the hosts ahead just before half-time, but when former Tractor Boy Daryl Murphy levelled in the second half the Magpies had a chance to switch their fortunes. Instead they conceded twice more, David McGoldrick and Emyr Huws the scorers. Gianfranco Zola’s brief and forgettable stint at Birmingham ended after a 2-0 defeat at home to Burton left Blues two places and three points clear of the drop. Burton leapfrogged their opponents in the table after Lloyd Dyer and Lucas Akins hit the net and Zola’s 22-game reign came to an end within minutes of the final whistle. 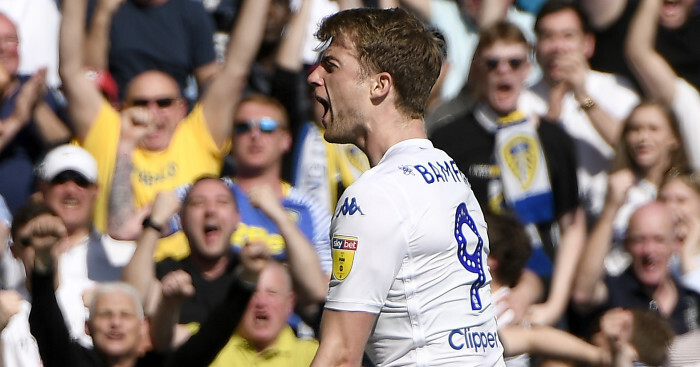 In the play-off picture wins for Reading, Sheffield Wednesday and Fulham saw Leeds edged out of the top six. Reading went behind to relegated Rotherham, Tom Adeyemi on target, but hit back in the second half. First Lewis Grabban then John Swift beat Richard O’Donnell to seal the points with a 2-1 win. Wednesday won by the same margin at QPR, Adam Reach and Daniel Pudil notching either side of Idrissa Sylla’s equaliser. Fulham enjoyed a straightforward outing at home to Aston Villa, who slumped 3-1 after playing 68 minutes with 10 men. Ryan Sessegnon gave the Cottagers the lead after hitting the crossbar and, although Jack Grealish restored parity following Jonathan Kodija’s red card, the result never seemed in doubt. Sone Aluko and Neeskens Kebano settled matters as the numerical disadvantage came to bear in the second period. 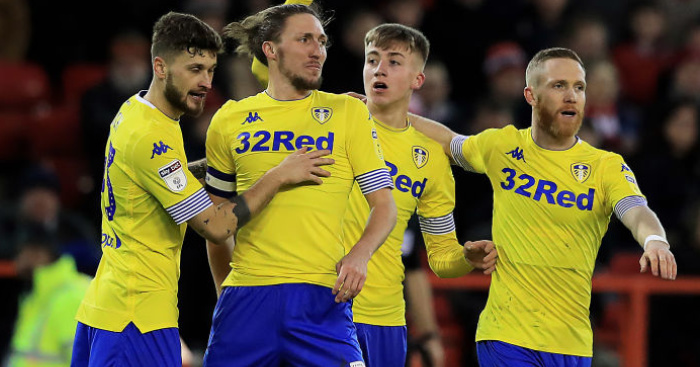 All of that spelled bad news for Garry Monk’s Leeds, who were turned over at Elland Road when Wolves striker Nouha Dicko grabbed the only goal of the game. Blackburn salvaged a draw from Bristol City’s trip to Ewood Park, Sam Gallagher cancelling out Tammy Abraham’s effort, but they remain third bottom and deep in trouble. Norwich defeated Preston 3-1 at Deepdale, but neither side can now hope to crack the play-offs. Graham Dorrans and Josh Murphy gave the Canaries a first-half cushion before Tommy Spurr and James Maddison traded strikes. 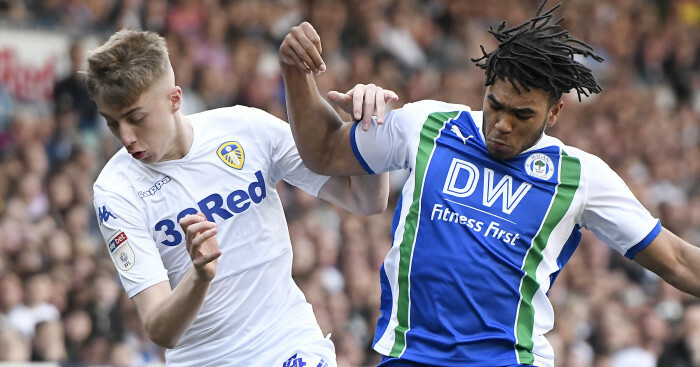 Aron Gunnarsson gave Cardiff a 1-0 win over struggling Nottingham Forest and Brentford drew 1-1 at Barnsley as Florian Jozefzoon and Marley Watkins scored.